Written by Janet Choi on February 19, 2015 . The beginning of a new habit or practice is always the toughest stage. If you’re like me, starting a new habit at the gym can be a stage of personal hell. Wanting to exercise more, I ended up in a new fitness class, with an instructor whose enthusiasm and pep didn’t extend to explaining near-impossible moves. If I hadn’t foolishly positioned myself so far away from the door, I would’ve high-kicked and lunged right out of there after 10 minutes. An object at rest tends to stay at rest, and that basic Newtonian law of motion applies to most people. Getting started is often the most challenging because it takes extra energy to break away from the inertia of an established groove. According to author and entrepreneur, Nir Eyal, understanding this fact is crucial to your product’s success. You see, you’re trying to change someone’s groove to become your customer. A new sign up doesn’t mean instant behavior change and product love. You have to produce new habits. That’s why it’s so important to get in touch with your new customers in their first few days and weeks, and help them along. I would’ve given that cardio barre class more chances if the teacher had offered modifications of her routine for beginners. Like a product customer, I was already battling confusion around how to perform basic functions, feelings of discomfort, fear, and indifference, and a competing, established habit (of staying at home on the couch). If you want your new customers to keep coming back to you, what are you doing to combat these powerful forces against you? The reward for completing actions shouldn’t always be the same, because we get desensitized. That’s why products like Pinterest or Facebook can be so addictive and habit-forming. There’s always something new to amuse and reward you. 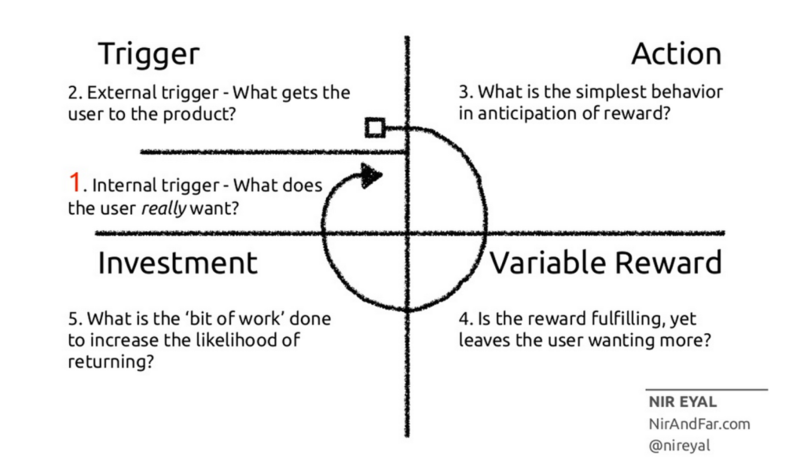 Investment: After going through a cycle of trigger, action, and reward, you’ll feel a little more invested. That shift in attitude then makes it easier for the new habit to progress and stick around. Frequency is crucial when starting a habit for it to take hold and grow roots, but just because repetition is at the heart of habits doesn’t mean you should send people into meaningless, repetitive loops. The habit-forming potential of a product depends not just on sufficient frequency but also the perception of utility. People won’t actually stay unless you give them a meaningful reason to, by providing enough value. A powerful way to do that is to foster their sense of progress by breaking things down into smaller steps to create a string of small wins. That’s incredibly motivating. “Once a small win has been accomplished, forces are set in motion that favor another small win,” as Karl Weick, the psychologist who coined the term explains. Framing these small wins means understanding what progress means from the user’s perspective. As Sam Hulick puts it: “People don’t buy products; they buy better versions of themselves.” Successful behavioral design using the Hook Model, then, requires empathy to fight the curse of knowledge and be able to coach people from starting line to superhero (or that better version of themselves). When designing your series of hooks, work backwards from the reward. That way, you’re more likely to connect with a motivating sense of personal progress for the users. What is particularly useful and gratifying about your product? How does it help a user become better or happier? What steps are necessary to carry out an action that leads to those rewards? How can you cascade steps to build on each other to provide a sense of progress? Design these triggers to show rather than tell how people can achieve goals on their terms, towards that better, more productive, happier vision of themselves. Let’s examine how some companies hook their new users with trigger emails. CloudApp is a simple, useful tool used to quickly share screenshots and gifs with others. 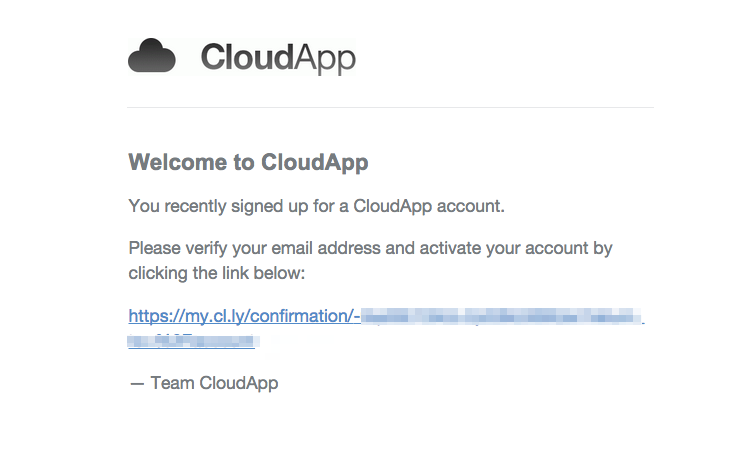 After you sign up for CloudApp, you get a message to verify your email address and activate your account: When you click the link, you arrive on this page, which starts downloading the app and provides a handy new user guide. Then, if you haven’t created your first “drop” — that is, uploaded and shared a file — you’ll get a trigger email in about 15 minutes. It includes a simple gif to show you how to take a screenshot or existing file, upload it to the app, and share it with people. 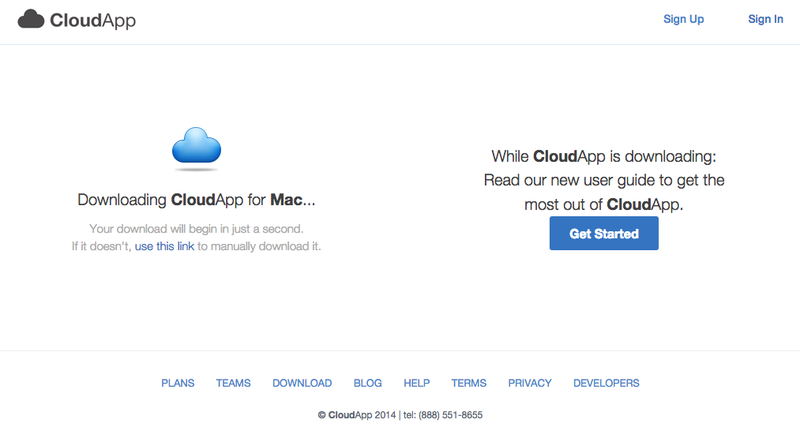 CloudApp does a great job of removing the friction that many new users encounter with a new product. Instead of having to nag people to download the app, they’ve combined the verification trigger to an automatic download action. Having an email trigger if you haven’t performed a fundamental task in the tool — and using a gif format to show you how easy it is — paves the way for the user to get to the reward and feel more invested, more quickly. Typeform is an easy, beautifully designed online survey and form builder. 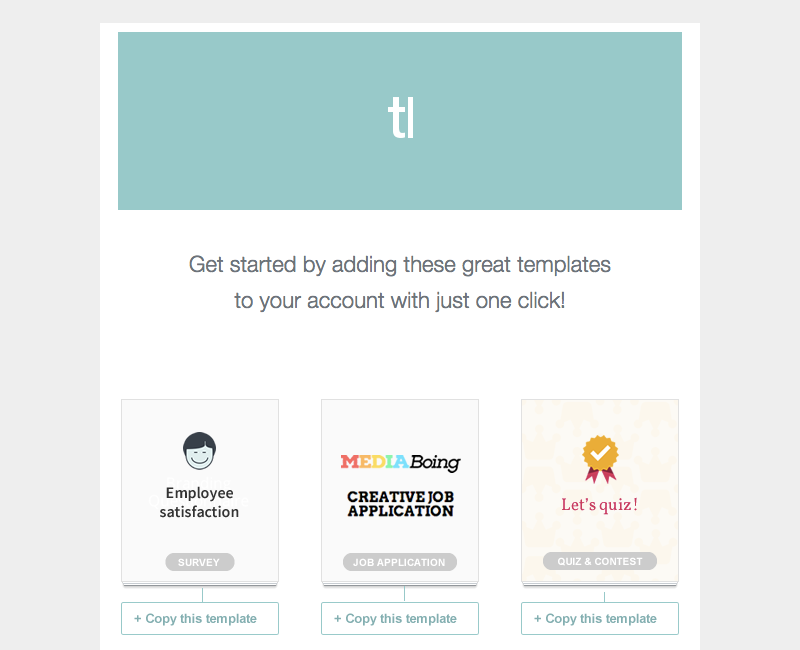 Their welcome email starts the ball rolling with a one-click option to check out and even copy sample templates, which kickstarts your way into playing around with the app right away. Afterwards, Typeform continues with a drip campaign of 5 more emails, educating new users about helpful tips and tricks. Concentrating the timing of these daily tips triggers soon after signup helps Typeform use frequency, utility, and progress to start establishing a new habit. 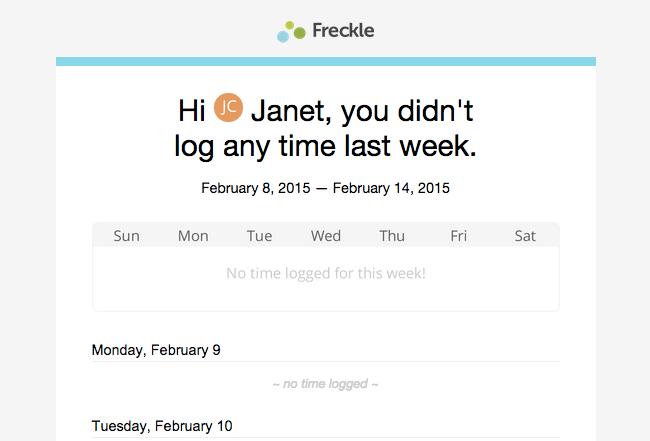 Freckle is an online time tracking software, geared towards consultants and freelancers. 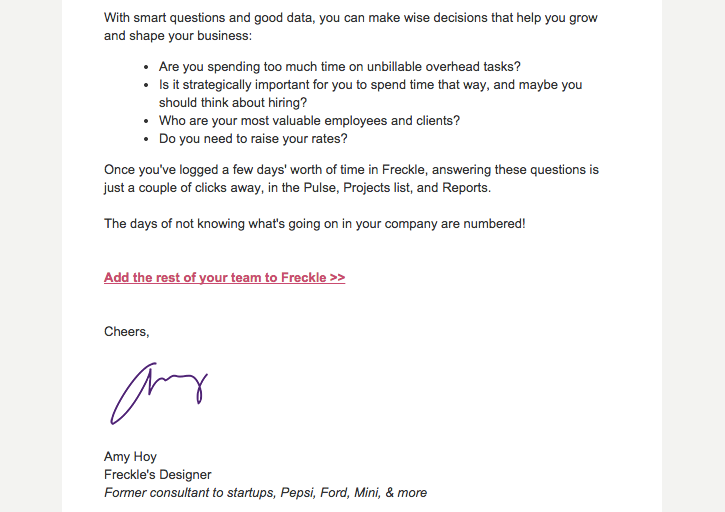 After I signed up, I didn’t return to Freckle for about a week, and I began receiving emails like this: These trigger emails posed smart questions about my time tracking habits and explaining that the lack of clarity around quality and quantity of hours is detrimental to business. They functioned to increase my motivation to act to become a business superhero: of course I want to better grow and shape my business! After a week, I also got a digest that reported that I hadn’t logged any time. It reminded me I hadn’t used the product and provided a nudge. If I had logged time, the email would’ve gotten me back into the site to check out its Reports feature. Using triggered emails based on activity — or inactivity — of your new users, as CloudApp and Freckle does, is especially effective in motivating your new users, because they’ll experience your hook series in a progression that is relevant and responsive to each individual. Getting those first few weeks of user experience right is key to capitalizing on initial interest. Disregard and lack of guidance will turn into lack of engagement, making all your efforts to find and attract leads and new signups for naught. You wouldn’t want to make an investment in something yourself with little to no knowledge. When you show people the value of your product by guiding them through cornerstone actions in your product instead of just talking at them, they’ll become more engaged and invested in what you’re doing. Get them hooked on some positive feelings! What are some other examples of products that get you hooked? Let’s discuss our favorites in the comments!